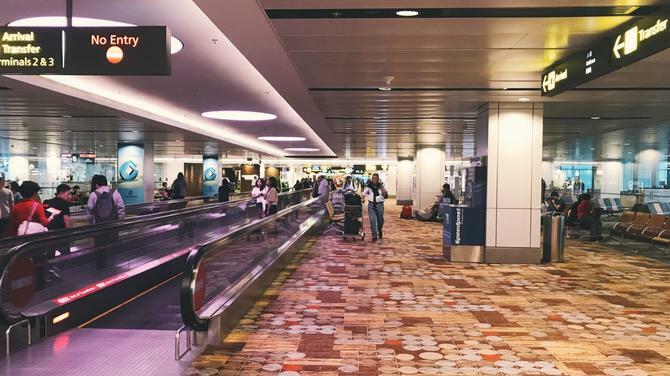 There is exciting news for Singaporeans as about 80 national and international retail outlets will be opened at the new Changi Airport’s Terminal 4 (T4) which will start functioning in the second half of this year. A heritage zone, inspired by Peranakan shophouse, will also be opened for the first time at the airport evoking nostalgia among the people. 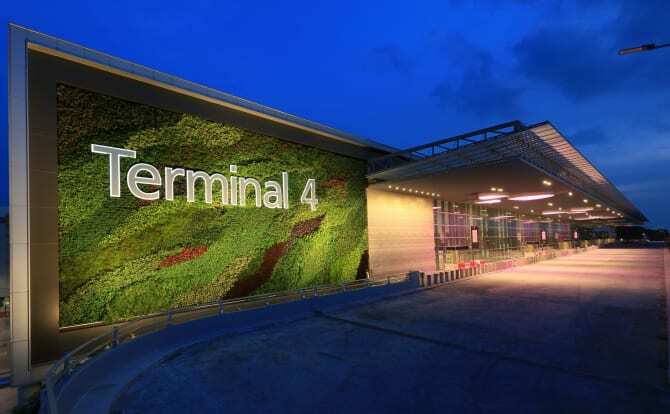 The new Terminal 4 has attracted many international and local retail and food and beverage (F&B) operators, with over a quarter launching their maiden airport presence, said Changi Airport Group in a press release on Friday. 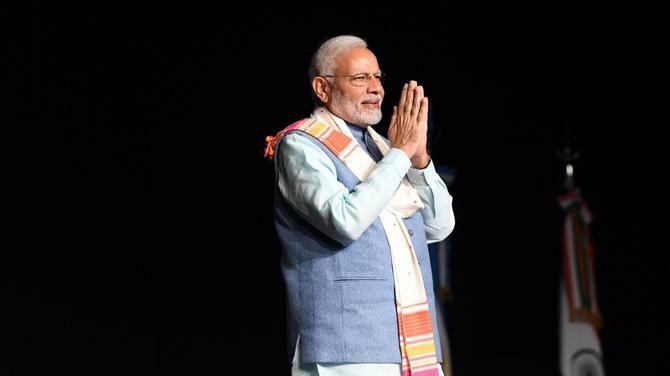 “With more than 80 outlets over 16,000 square metres, T4 will be a shopping and dining haven featuring popular brands, innovative concepts and unique experiential zones, presenting a vibrant shopping and delightful dining experience for both passengers and airport visitors,” said the release. For the first time in Changi Airport two core duty-free categories – Liquor & Tobacco and Cosmetics & Perfumes, will combine and operate in a single integrated duty-free zone in the transit area. Located just after centralised immigration and security screening, passengers can shop for their favourite duty-free purchases from both product categories seamlessly and combine all their duty-free purchases in a single transaction, bringing greater convenience and time savings. 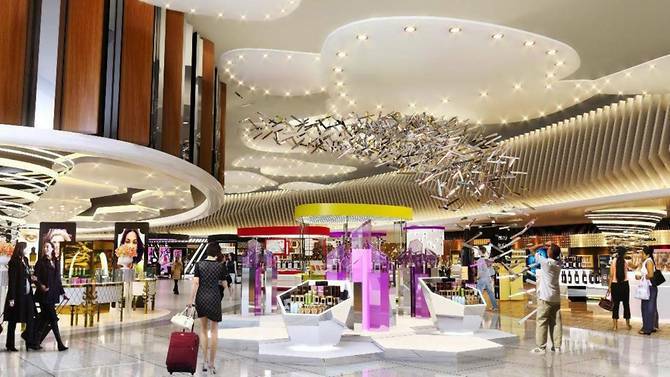 From the integrated duty-free zone, passengers will then be greeted with an ambience of elegance and grandeur through a cluster of 11-metre high double-volume façade outlets, with visually impactful storefront designs. This zone will offer a selection of popular retail brands - Charles & Keith, Coach & Furla, Gassan Watches, Michael Kors, The Cocoa Trees and TWG Tea Boutique. The high in-store ceilings enable brands to execute creative interior designs, to express their unique qualities. “Retail shops opening their first outlet in Changi Airport will offer a greater range of shopping choices for passengers. 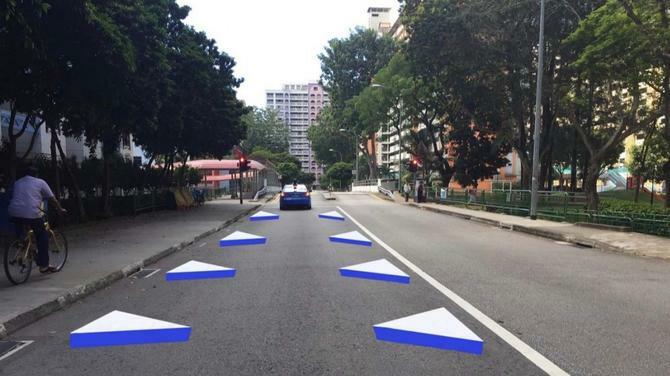 These include trendy, home-grown footwear label PAZZION, world-renowned paper maker Moleskine, as well as British retailer WHSmith – which will be opening their first Singapore bookstore in the T4 transit area,” said the release. To satiate the taste buds, passengers and airport visitors will get to savour a wide selection of local and international cuisines. In the transit area, new outlets include Tiger’s Den, serving bar food and light snacks, as well as Treasures (Yi Dian Xin) by Imperial Treasure, offering a wide range of dim sum options for passengers. 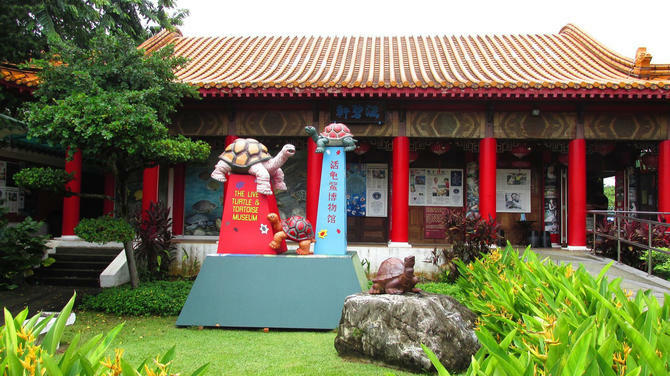 There will also a separate heritage zone which will be opened for the first time at Changi Airport. The zone, inspired by Peranakan shophouses nestled around Singapore, and designed to take passengers a step back in time while shopping and dining. 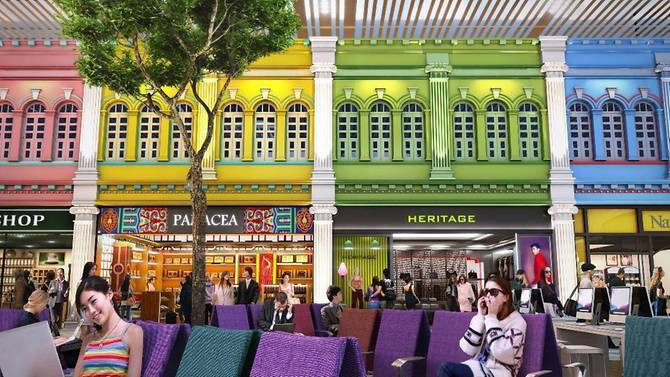 This zone will house familiar traditional brands Bee Cheng Hiang, Bengawan Solo, Curry Times, Eu Yan Sang and Heavenly Wang, with heritage-themed interior design and furnishings to invoke a sense of nostalgia for passengers. In the public area, airport visitors will be able to dine at 11 F&B outlets, including new-at-Changi restaurants such as local food chain Andes at Astons, London Fat Duck, Old Street Bak Kut Teh and Sushi Goshin by Akashi. Food Emporium by NTUC Foodfare – also a new tenant at Changi, will operate a food court with colonial-inspired design features, carrying a wide range of local favourites such as traditional chicken rice, “scissor-cut” curry rice, and Hakka style Yong Tau Foo.